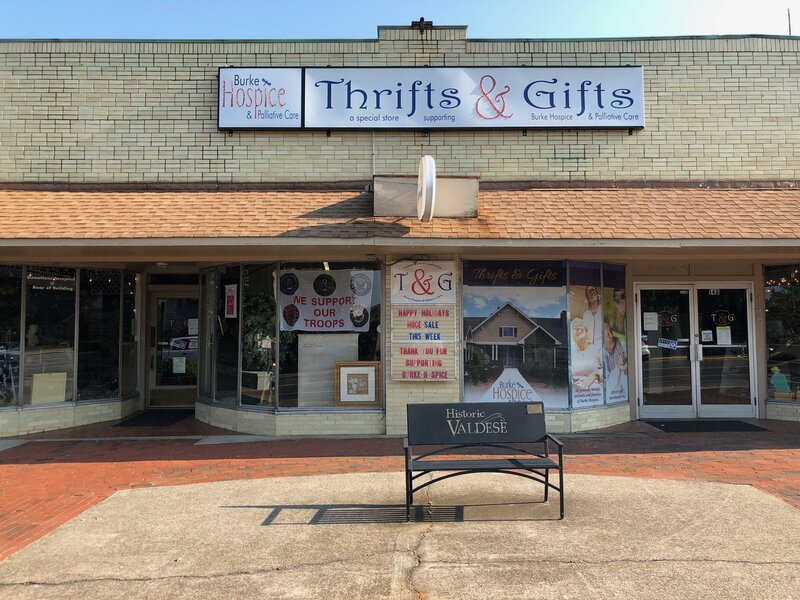 Burke Hospice’s downtown Valdese non-profit store, Thrifts & Gifts, needed some tasteful graphic enhancement to draw the eye without being overbearing. 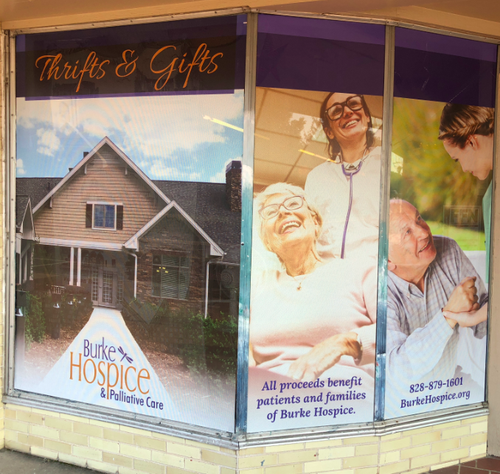 Working with the Hospice team, the VanNoppen Marketing graphic team created a set of custom-fitted, perforated, light-deflecting window banners to attract customers’ attention and promote the fact that shopping at Thrifts & Gifts helps Burke Hospice patients. Proceeds from sales benefit Burke Hospice and Palliative Care. For more information on the store itself, take a look at their website here.